Sure we’re all drooling over HP’s upcoming webOS powered smartphones, but if you want to sample webOS right now, we’d imagine that you wouldn’t mind picking up a Palm Pixi Plus for cheap. It’s not the first time we’ve seen third party resellers knocking off some serious cash off of Verizon’s Palm Pixi Plus, but it’s so much better when they’re selling a no-contract required device for dirt cheap. 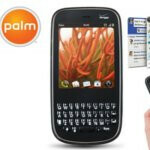 This time around, Daily Steals is offering the miniscule Verizon Palm Pixi Plus for $54.99 – with free shipping! That’s pretty impressive considering that you won’t have to sign any lengthy contracts and easily beats the usual $200 and up cost related to fully priced smartphones. Now don’t wait too long because this offer is good for only a limited time. 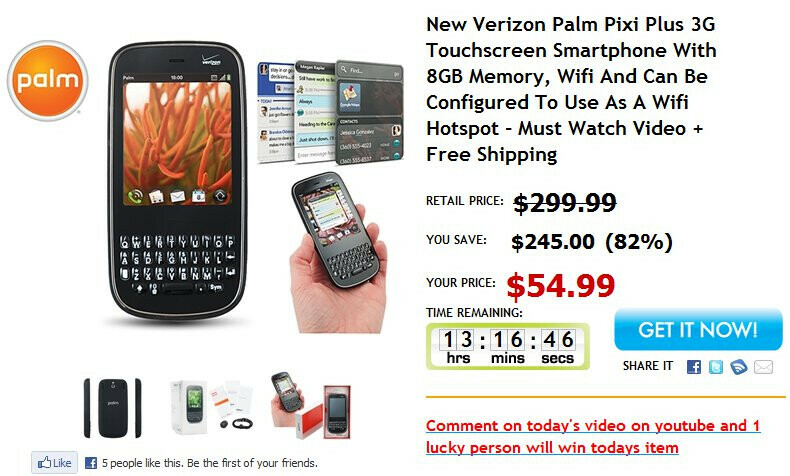 As it stands, there is approximately another 13 hours left before this promotion expires, but we’re guessing this isn’t going to be the last time we’re going to hear about the Palm Pixi Plus for Verizon. Well duh, they're trying to get rid of all the palm pre plus and pixie plus because Web OS 3 isn't going to run on either of them. no, well mabey yes they are trying to clear out. But they truly have an amazing platform, i own one and love it. people are just scared to try different things, like the iphone everyone wants it because of the media there are lots of different phones with different features like this one "Free Hotspot was the only reason i got it but it is very easy to use and i decided to keep it wrather than my droid. plus i save an extra $30!!"